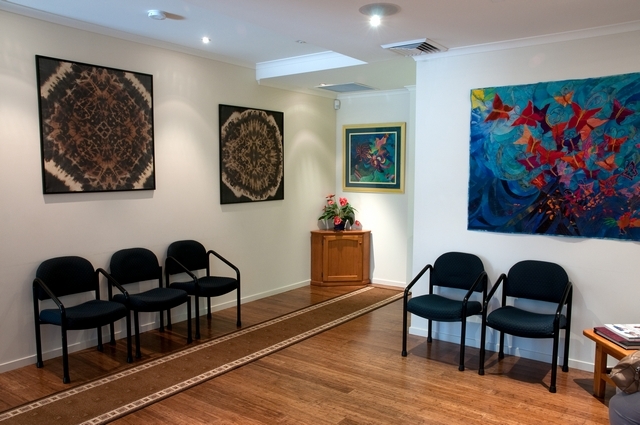 Boughton Legal is a boutique law firm in Maroochydore which specialises in Family Law. Boughton Legal prides itself on being compassionate with sensitive matters and provides legal advice, services and court representation in regards to Family Law. We understand that facing a relationship breakdown or criminal charges can be very stressful to deal with and as a firm dealing specifically with these legal areas, we offer not only a profound understanding of your situation but the expertise and sensitivity to help you get through it. Boughton Legal can provide expert advice in any Family Law matter from Divorce and Property Settlements to Binding Financial Agreements and Dispute Resolution. Established in 2008, Kel Stanton’s Mobile Diesel Service Pty Ltd is a reputable, family owned and operated diesel mechanical company specialising in the maintenance and repair of diesel vehicles, machinery and equipment including trucks and trailers, mining, earthmoving and agricultural equipment, buses, 4×4’s and much more! The team at Kel’s perform a variety of services including full fleet maintenance, general servicing and repairs, COI’s, HVRAS certificates, roadworthy inspections and safety certificates. Kel’s team of highly skilled, dedicated diesel mechanics service South-East Queensland, from the Gold Coast through to Brisbane, the Sunshine Coast and the Somerset Region. The company’s fleet of fully equipped service trucks also operate in conjunction with their Caboolture based workshop, enabling the team to further cater to the needs of their diverse customer base. Kel Stanton’s Mobile Diesel Service pride themselves on providing top quality, professional services whilst operating an honest, reliable and friendly business. Jazz, tap, ballet, contemporary, acro, hip hop, tiny tots classes, eisteddfod work, exam work and annual concert. Driving is all about safety and confidence, so learn from the best at Around About Driving School Bribie. Our qualified team here at Around About Driving School has a stellar reputation for teaching our students the ins and outs of driving skills and safety to help them successfully take the step from learners permit to a provisional driver’s licence. And you could be next! Give it a go for only $110.00 for 3.5 hours of lessons. Learning to drive can be a stressful experience, but not with our dedicated team by your side. Our professional driving instructors are highly experienced in teaching young drivers how to focus and conquer their nerves behind the wheel. Specialising in first-time drivers, We are dedicated to making sure your experience while learning to drive is fun and stress-free. We provide both female and male instructors to help you feel comfortable and at ease and offer driving lessons in both automatic and manual vehicles. Gaining your provisional licence means freedom and responsibility, and our driving instructors will make sure you have the confidence and skills to make smart decisions whilst on the road. We are committed to road awareness and safety, and our structured tailor-made lessons ensure safety is the number one priority from day one. From reverse parking to 3 point turns and beyond, we make learning to drive a breeze – just ask any of our satisfied customers. Around About Driving School offers professional driving lessons 7 days a week from first-time learners to those ready for their practical test, so book your appointment with a driving instructor today on 1800 224 333. Commercial Printing for almost 80 years, with vast knowledge of all printing processes. Everything from Offset and the latest Digital printing to more traditional Foil printing and embossing. We have on site a very talented designer and professional pre press department. When you make a sales enquiry with us we take an interest in you and ask you what you want for your business. High quality at a fair price after all what does the quality of your printed sales and advertising materials say about your business. Impressions are gained usually at the first meeting.